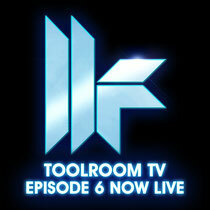 Toolroom TV’s sixth edition recently dropped with footage from the BPM Festival in Mexico, plus there’s behind-the-scenes access to Mobilee Records and Suol Records in Berlin. At BPM, Carl Cox, Mark Knight, Nic Fanciulli, The Martinez Brothers, Matador, Nicole Moudaber, Sander Kleinenberg, Danny Daze, Sunnery James & Ryan Marciano, Luca Bacchetti and Lauren Lane all reveal their thoughts on the Playa del Carmen festival to Toolroom TV. In Berlin, the channel uncovers a city steeped in musical heritage. Giving a personal guided tour of this techno sub-hub is both Ralf Kollmann and Anja Schneider, who unlock the door to the HQ of famed Berlin-based label Mobilee Records. Here, they unveil the secrets of how they built the respected Mobilee brand from scratch, as well as what it takes to be an artist rising through the imprint’s ranks. Plus Ralf & Anja also take a trip to a top-secret and exclusive underground space in Berlin. Finally, Chopstick & Johnjon catch up at their Berlin-based Suol Records HQ. Fresh off the back of their remix of Digitalism’s ‘Zdarlight’ on Toolroom, the pair tell of how the rework was a tough one to perfect and explain how the resulting effort came together. Check it out below.